Expect to hear a lot about the West Linn Lions in the coming years. They have some of the top younger athletes in the state and a phenomenal coaching staff, led by 2nd year man Mike Fanger. Hayden Coppedge (6-4 175 Sr. QB) will be back to lead the Lions this season, as he could very well end up being the state’s most recruited senior QB. Hayden’s upside is off the charts with his size and overall athleticism. The 2014 class is talented but thin, so they will be relying on some of the youth to step up as well. Coppedge is currently Oregon’s #2 ranked QB and they will only go as far as he can take them. He says, “We are all excited about the season and have been working hard…I think we have come a long way in the last year and feel good about the direction we are headed.” West Linn returns experience at the RB position in Louie Germain (5-8 160 Sr. RB), who had a nice junior campaign going for double digit Tds and earning second team all league honors. Cam Schmitz (6-2 195 Sr. WR/S) will return as one of the region’s fastest rising recruits, after missing a lot of time with injuries in 2012. 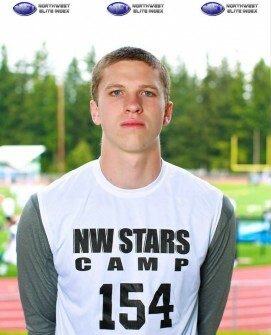 Cameron will be a key WR, and is one of the top safeties in Oregon. He recently MVP’d our Vancouver Camp/Combine on the defensive side of the ball and will be instrumental to the Lions success. West Linn’s line returns three talented starters from a year ago in Noah Bagley (6-2 290 Sr. OL/DL), Ellis Eaton (6-2 250 Sr. OL/DE), and Isaiah Molden (Sr. G/DT). If this group can stay healthy they can compete with anyone, but some of the underclassmen will need to step up. Senior’s Ben Herrod (6-4 265 T/G) and Hudson Kennedy (6-2 270 Sr. OL/DL) return and will be called upon to help up front. They both have legit size and potential. Bagley has been one of the most impressive kids state wide over the off season, dropping 45 pounds and dominating on the camp and combine tour. 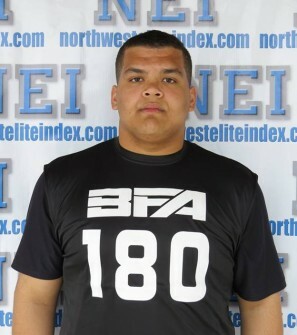 Former Oregon St Beaver/ Chicago Bear and current Barton Football Academy Line Coach Alex Linnenkohl says, ” Noah was one of the most impressive offensive lineman we saw all year, he has a bright future moving forward.” You will see Bagley make a significant jump when the updated rankings are released shortly. Eaton had an outstanding junior year and can play the center spot, or wherever else you need him. 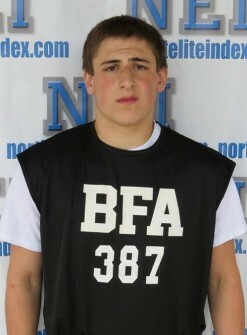 He is one of the quickest D ends off the ball in the state. Molden is just a good football player and has learned a great deal from his father (Alex Molden), who was one of the best in the NFL for a number of years. You can also expect sophomore center Tyler Self to be in the mix, as he took most of the varsity snaps at center during the spring. The good thing for West Linn is that Coppedge is a gamer and just knows how to win, as indicated by his recent state title on the basketball floor. 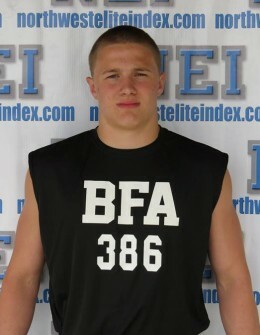 He will have Schmitz, Braden Vogt (5-9 155 Sr. Slot/DB), and brother Cody Coppedge (6-2 155 So. WR) as his primary targets. Vogt will have to contribute and help make up for the loss of all-everything WR/Safety Jarrod Howard. Cody is one of the state’s top sophomore athletes and a projected D1 wide out with continued progression. Expect the younger Coppedge and three of the west coast’s top freshman to all play a role early on in their career. Elijah Molden (Fr. ATH/CB) could very well start this season if need be, as he is that advanced for his age. He will be one of the best players in the Pacific Northwest for the 2017 class. Many already know about Connor Neville (Fr. QB) and Jonny Neville (Fr. WR) who are light years ahead of other athletes their age. Both could see some time. Gavin Andersen (Sr. FB) and Kevin Edwards (Sr. LB) will bring back veteran leadership after starting last season, and junior to be Kurt Moon (6-5 200 TE/WR) has a legit frame and a could be a big factor. 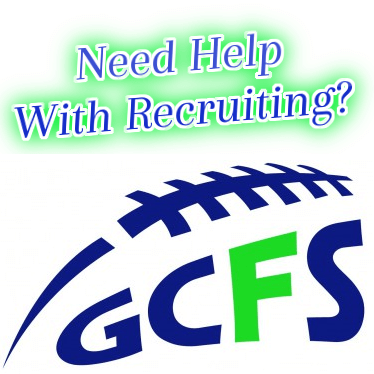 There are a bunch of other athletes who could contribute, as some of the skill positions are loaded with talent. Jake Delozier, Brendan O’Brien, Colin Clark , Matt Wright, Nick Yokubaitis, and Kenny Whitbey are just a few of the other names you may hear. Freshman QB Tim Tawa is another very talented younger athlete. In summary Head Coach Fanger and his guys have things going in the right direction. Year in and year out West Linn runs one of the top youth programs in the state and things are starting to come together. The Three Rivers Conference could be top to bottom the most competitive league in Oregon, and the Lions will have to show up each and every week if they want to make a run. We are huge advocates of what the team has going on, and for see West Linn as one of the top up and coming football communities in the region.